Insurance can sometimes seem hopelessly confusing. Without a background in insurance, the jargon and phrasing aren’t always easy to understand. 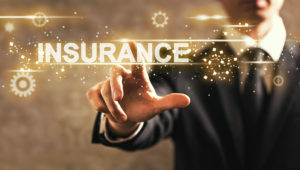 Professionals within the insurance industry are well aware that people have difficulty comprehending and navigating insurance, which is why many insurance agencies and brokerage firms have focused their efforts of clarifying the language and communicating insurance policies more accurately and plainly. While that’s a laudable goal, there appears to have been somewhat limited progress. Certificates of insurance are certainly intended to be understandable, but insurance intermediary training is sometimes more limited than might be desired. There are still challenges faced within the insurance industry, and certificates of insurance could surely be improved. The improper use or handling of a certificate of insurance has definite repercussions. However, they’re often not quite as severe as you may imagine. It’s commonly believed that a mistyped or improperly worded certificate of insurance may negatively impact your insurance coverage. Fortunately, that’s not the case. The certificate of insurance is merely intended to be a representation of insurance at the time it was issued. A certificate of insurance cannot amend, alter, rewrite, or in anyway make adjustments or changes to your insurance policy. The certificate isn’t your policy, and your policy remains unaltered regardless of what your certificate of insurance states. However, that doesn’t mean that there aren’t serious legal concerns regarding your certificate of insurance. If the issuer of your certificate of insurance has made errors, the issuer can be held liable for those mistakes. The issuing agency or partner is held accountable for any inaccuracies, such as a certificate of insurance stating that coverage is held in areas where your policy doesn’t provide protection. In such an instance, the insurance intermediary that issued that certificate of insurance would be held responsible for said coverage, not your insurance company. In many industries, inaccuracies regarding the actual insurance coverage carried is still all too common in certificates of insurance. Some reviews of certificates of insurance have shown that as much as 90 percent of the certificates contain material misrepresentations of policy coverage. This makes insurance certificate tracking software incredibly important. The good news is that such errors are relatively easy to detect with the proper vendor and software tools.